According to a study by InfoTrends (Direct Mail: Integral to the Marketing Mix in 2016), 66% of all direct mail is opened, and out of that 82% is read for a minute or more, allowing you to make an initial impression on the reader. From there, 62% of consumers that responded to the direct mail over a 3 month period said they made a purchase. In fact, majority of those surveyed stated they read more direct mail pieces than they did emails. One speculation for this is that the direct mail piece is a physical object. It makes the interaction more real for the reader. In addition, the right marketing piece can create an interactive experience with your potential customers. It can guide them to a special area on your website, utilize QR codes or Augmented Reality, or just open communication with a special offer when they visit your store. 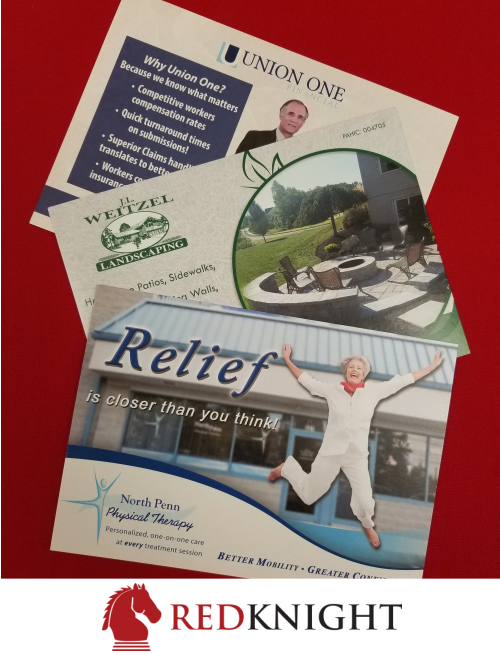 If you want to see if direct mail is right for you, give us a call and we’ll review your goals and help you devise a strategy to get the best impact from your direct mail marketing efforts.